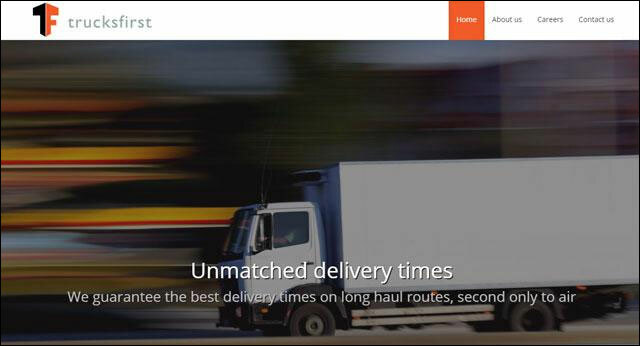 Gurgaon-based logistics services provider TrucksFirst Services Pvt Ltd has raised Rs 61.8 crore ($9.6 million) in a Series A round of funding from VC firm SAIF Partners, it is learnt. Founded in 2014 by Deepak Garg and Gazal Kalra, TrucksFirst provides logistics services. Garg is an IIT Kanpur alumnus who was working with McKinsey & Company before co-founding this venture while Kalra graduated from Stanford Graduate School of Business and has also worked with McKinsey. "The investment will be used to strengthen technology, backend and hiring," an unnamed investor told The Economic Times which first reported the development. TrucksFirst had raised the money on April 14, 2015 from SAIF Partners, as per a statement filed with the Ministry of Corporate Affairs. Other investors like Singapore Post, McKinsey’s travel, transport and logistics director Thomas Netzer also participated in the round, it said. An email sent to the TruckFirst's spokesperson for more information about the deal and the company, did not elicit any response till the time of filing this report. One of the managing directors of SAIF Partners also declined to comment on the investment. SAIF Partners, which provides early-stage and growth-stage capital to its portfolio firms, has been actively investing in Indian companies. The VC firm has invested in around a dozen companies in the country, according to VCCEdge, the data research platform of VCCircle. These companies include Bangalore-based Emvito Technologies, Tracxn Technologies, Coverfox Insurance Broking and One 97 Communications. In the space, recently, Delhivery raised $85 million in its Series D round of funding led by Tiger Global with participation from existing investors while Mumbai-based LogiNext Solutions raised an undisclosed amount in its seed round of funding from Ajit Surana and Sanjay Mehta of Indian Angel Network.